Apple improves their iPhone line-up in two ways, first by launching the big hardware or new iPhone and second is by launching the new version of iOS. iOS upgrade is big as it helps millions of people improve their existing iPhone and get the maximum out of it. As we know iOS upgrade is launched in the WWDC and this year WWDC is starting tomorrow. Everyone knows about the new iPhone launch, and from last couple of years Apple is following the same trend of September launch, but three months earlier, Apple's annual WWDC developers conference gives an early preview of changes that are arguably just as important to iPhone owners: a peek at the next version of iOS. Like every year Apple WWDC for 2017 is starting from Monday (5th June 2017), and it is expected that they will showcase the first preview of iOS 11. 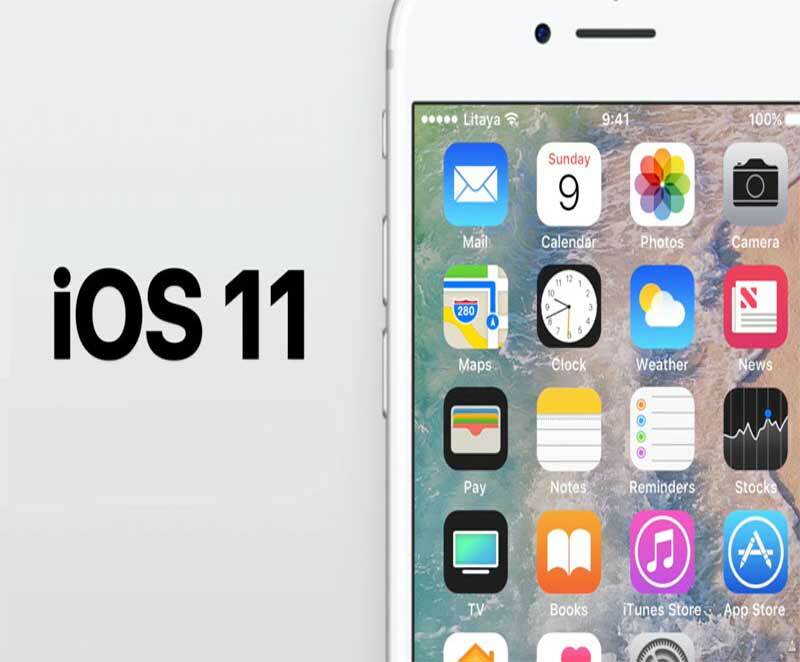 Although iOS 11 is expected to be the best iOS ever, we expect some changes to make iOS more user-friendly. In this article, we are going to talk about the 5 things that Apple should change from iOS 10 to make iOS 11 more user-friendly and easy to use. Current view of app and folder are four icon dock design on iPhone are really isn't much different from the original iPhone in 2007. In a simple word, we can say that nothing much has changed in case of front interface from the time of launch. Apple could re-think how apps are presented and organized, which would help our hundreds of scattered apps on our phones right now. In our opinion, we feel that Apple should give some flexibility from redesigning the front interface. It also seems that iOS is currently suffering in between two different screen sizes of iPhone. That also goes for the lock screen, which shows widgets but isn't enough of a live dashboard for getting essential info at-a-glance, that seems good on plus version of iPhone. "Clock" is still the only animated icon on iOS. WTF? At least put the live temperature on the weather app. Or figure out some other indication besides the red "unread messages" flag. Lots of missed opportunities here. Apple should make use of their tablet's extra screen space. Fit more apps on-screen, improve split-screen modes and treat the iPad more like a Macbook alternative versus being just a large iPhone. iOS 10's notifications feel chunky and stick to the top of the phone longer than they feel welcome. Sometimes they're even hard to swipe away. A better way of managing and presenting notifications is in order, considering how ever-present they've become in everyday phone use. There needs to be a kid-friendly mode for iOS: on the iPad, it's an overdue must, and on the iPhone, it would be a huge help to let kids browse safely and play Pokemon Go without having access to mom and dad's emails or Facebook. Also, great would be guest modes, family modes and school use modes. Android has it, Chromebooks have it, Windows has it and even Amazon's Fire OS has it. Apple's iOS short-winded already has these things too, but they're buried in accessibility options or for school administrators only. Come on already, Apple: Put these features front and center, then make them easy to use.